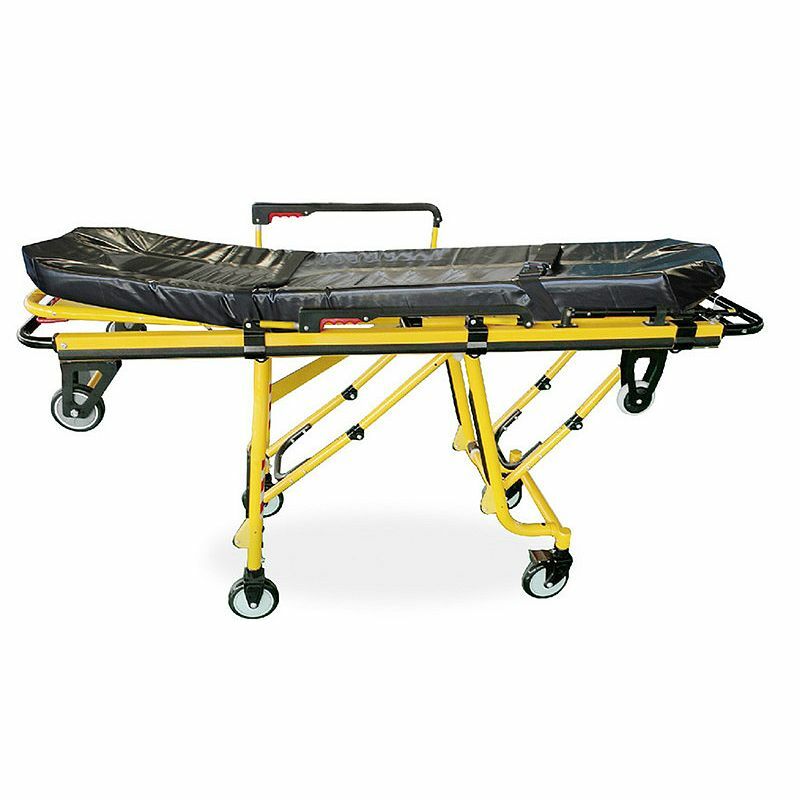 This Private Ambulance automatic loading stretcher with safety lock and TPU vacuum mattress is an apparatus used for moving patients who require medical care. 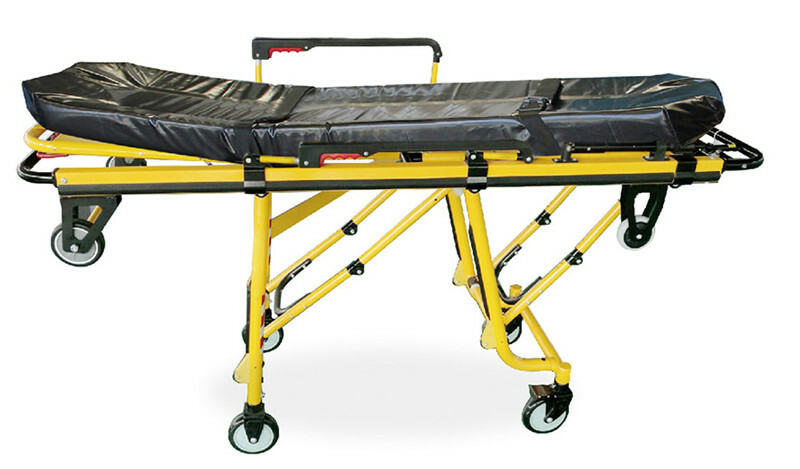 This stretcher has three-step and two wheels of big and small according to any height of ambulance carriage bottom board when loading the stretcher up to the ambulance, the lowest height is 64cm. The bed surface of the stretcher is made of foamed cushion, the material is waterproof, the backrest is adjustable which makes the wounded feel comfortable. The stretcher with safety lock, it must be locked up when transport the patients, and opened out when get on the ambulance. Only one person can send the patient (with this trolley) to the ambulance. The stretcher can be locked up after being aboard through the chute. It is made of stainless steel materials. It characterised by its being light-weighted, use safely and easy for sterilization and clean. It's mainly used for hospitals, ambulance and city roads carrying patients and wounded person. The size of castor: Φ125mm wide castors.